The Architectural League of New York and The Cooper Union are honored to host a free, public conversation between the United States Supreme Court Justice Stephen Breyer and architect Henry N. Cobb. 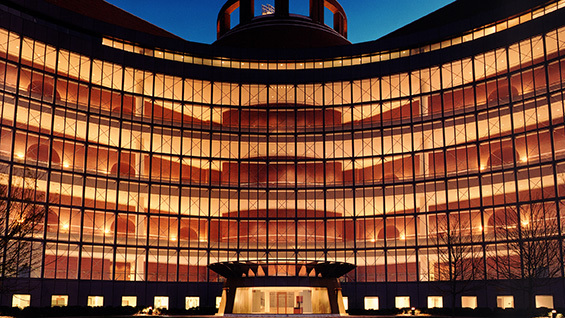 Justice Breyer and Mr. Cobb will discuss their collaboration as client and architect in the development of the John Joseph Moakley United States Courthouse in Boston, and their reflections on the civic importance and symbolic power of architecture for the judiciary. You must RSVP for this event. See below for details. Breyer (left) and Cobb met when Cobb and his firm, Pei Cobb Freed & Partners, were commissioned in 1991 to design a new federal courthouse on Fan Pier, at the edge of Boston Harbor. Justice Breyer, then Chief Judge of the U.S. Court of Appeals for the First Circuit, was lead client for the project and was deeply engaged in the development of the courthouse. The two launched a sustained dialogue about how to achieve three goals set by Breyer that convey profoundly important messages about the role of the judiciary in a democratic society: the project should communicate that the site of the courthouse belongs to the public; that the courthouse itself belongs to the public; and that the courts are equally open to all. 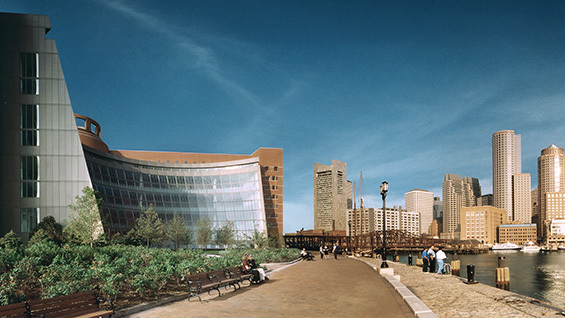 The John Joseph Moakley Courthouse, which opened in 1998, won a Presidential Design Award in 2000. Before his appointment to the Supreme Court by President Clinton in 1994, Stephen Breyer was appointed an appellate judge on the First Circuit in 1980 and chief judge in 1990. Earlier in his career he served as special counsel and chief counsel to the United States Senate Judiciary Committee. Justice Breyer is the author of numerous books, including most recently The Court and the World: American Law and the New Global Realities. 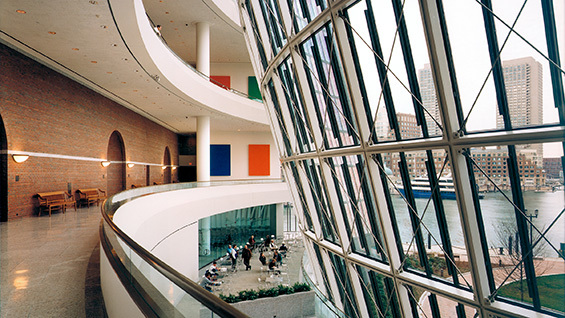 Justice Breyer is also a current member of the jury for the Pritzker Architecture Prize. Henry N. Cobb (right) is a founding principal of Pei Cobb Freed & Partners. During six decades his practice has embraced a wide variety of building types in cities across North America and around the world. Throughout his career, he has coupled his professional activity with teaching, most intensively during a five-year term (1980–85) as Studio Professor and Chairman of the Department of Architecture at the Harvard Graduate School of Design. Mr. Cobb received the President’s Medal of The Architectural League in 2015. This lecture is co-sponsored by The Architectural League of New York, the Department of Continuing Education and Public Programs of The Cooper Union and The Irwin S. Chanin School of Architecture. There will be a reception of bagels and coffee for ticket holders begining at 8:15. Doors to the Hall will open at 8:30. The program begins at 9. This event is ticketed. Tickets will be available exclusively to members of The Architectural League of New York as well as faculty, staff and students of The Cooper Union prior to December 11. After 9 a.m. on December 11, ticket requests will be accepted from the general public, space permitting. For tickets contact rsvp@archleague.org. A maximum of two tickets will be allowed per request. Please specify number of tickets.